Below we present the second part of the interview with Svetozar Gligoric, Honorary Guest of the Tigran Petrosian 80th anniversary Grand Prix tournament in Jermuk, Armenia. 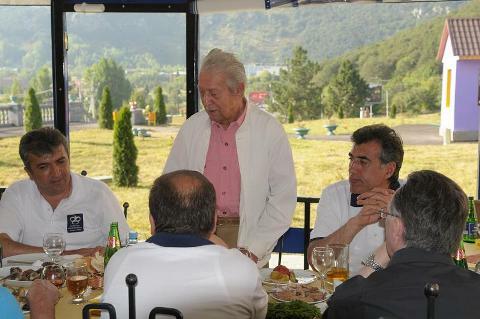 GM and Chief Organizer Smbat Lputian sat down to have a lengthy and warm discussion with the esteemed 86 year old Gligoric, who has made his muti-faceted mark on the chess world as a top-ten player, noteworthy theorist, eloquent commentator, inspiring journalist as well as a tournament organizer and arbiter. Read part one of the interview. Smbat Lputian: How would you assess the current state of affairs in the chess world, and how would you asses the quality of the chess being played here in Jermuk? Svetozar Gligoric: Of course I am pleased with the overall quality of play here in Armenia, and there have been some truly outstanding games. It is my opinion that today, playing chess is much, much harder than it was back in the times when I played. Nowadays, players are extraordinarily well-prepared, and the creative aspect of the game has diminished. The role of the internet and the ubiquitous presence of computers are significant, and players are obliged to be aware of the latest information and topical lines. On top of that, players are compelled to come up with new ideas, something that is not so easy to do in this day and age. Smbat Lputian: With a long and impressive career as a chess player, are you satisfied that you dedicated your life to chess? Svetozar Gligoric: I think yes because my principle passion when playing chess was to create at the board. Secondary for me was the result. In that sense I always had ample opportunity to be creative and for that reason I can say I feel quite fulfilled by my chosen profession. Smbat Lputian: How did you digest your defeats? How did you overcome failures? Svetozar Gligoric: To be honest I don’t think that I took it all that badly. This is the nature of sport. Defeat should be a motivation for you to improve, work harder, and do better the next time. As Capablanca said, the best teacher is defeat. You simply need the will and strength to be able to turn the experience into something positive. Smbat Lputian: One aspect of your creativity was your discovery of many new ideas in the openings. How important is this aspect of your legacy? Svetozar Gligoric: Of course, I was always very happy and proud when I discovered new ideas in openings, especially in those lines where former world champions and other great players had been unable to find anything new. Indeed I brought to life several new ideas, in such openings as the King’s Indian defense, Sicilian defense, French defense, Ruy Lopez, the Nimzo-Indian defense and others. One time Najdorf approached me and – I am not sure if he was complimenting me or not – but he said, “Svetozar, if I had the positions out of openings that you always emerged with, then I would probably have become World Champion.” I guess he was being more critical of my play, a backhanded complement of sorts, of how I was unable to realize my advantages, but in any case, I do think I had a good feel for openings. Smbat Lputian: Is there something you could identify which prevented you from becoming champion? You mentioned that creativity was your greatest passion in chess, but in a match, the result becomes the paramount factor. Svetozar Gligoric: Well, of course I have played many matches. Maybe on the account that I was not driven to become champion as some were, it was unpleasant for me to be in the tense environment that envelops you during such a match. For example, in my candidates match against Tal, after five games I was leading, but the expectations of my fans and friends who were constantly visiting me and calling me and encouraging me to win, I began to feel exhaustion from this added burden. The pressures of those expectations probably undermined my subconscious will to win, and when I lost the match, I felt more relief than disappointment. I could add that there was a similar expression of emotion by Petrosian, in 1969 after he lost the title to Spassky. The first meeting we had after his loss, he confided in me that he also felt this gigantic relief, stating how content he was that he was now an ex-champion forever, and was no longer burdened by the additional weight of being world champion. In fact, his results after this loss were much better than those while he was the champion. Smbat Lputian: You have lived a long life, seen the world, felt many emotions. What would you identify as the essence of life? Svetozar Gligoric: The most important things are love and creativity. The harmony between man and woman, as in music, as in life. Smbat Lputian: As I understood you have been fueled by the need to create throughout your career. When you retired from chess, how did you envision applying your creativity now that you were no longer to be playing? Svetozar Gligoric: In fact when I realized that I was no longer able to create on the chessboard as I wanted, I retired as it was no longer a practical exponent of my desire to create. My first love, before chess, before journalism, was music. As such, upon my retirement I decided to study music in earnest. I didn’t know many of the nuances of the field, but because I felt and understood music in its essence, I was able to take advantage of today’s modern technology which has enabled me to record the notes on a computer, transforming my musical ideas into documented notes and chords. I am grateful that at the age of 86, I compose music. I will continue to compose, and this has become a very fulfilling creative outlet for me to perpetuate my efforts in creating for the world. The press department of the Jermuk Grand Prix has provided several interviews for the official website. The conversation with Bulgarian Grandmaster Ivan Cheparinov is posted bellow. 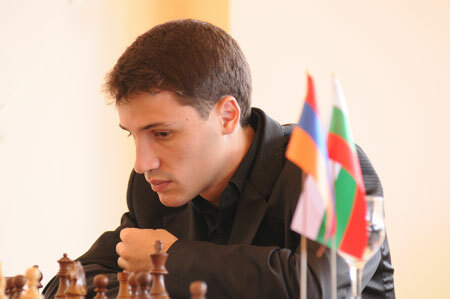 Q: Ivan, this Grand Prix is dedicated to the 80th anniversary of Tigran Petrosian, and it would be very interesting to know your opinion of him. A: Of course, Tigran Petrosian was a fascinating chess player. He was a world champion and that says it all. Besides positional play he was great in positions demanding deep calculation. It is surprising why he didn’t achieve victories in his games as often as one would expect. I guess there could be a special prize named after Tigran Petrosian, for the person who could draw the most frequently (smiling). Q: But Tal’s playing style is closer to your heart. A: My favorite chess players of all time are Fischer and also Kasparov. The latter is simply a legend. The other world champions were the strongest ones of their time, but unlike them Kasparov dominated the chess world for more than 20 years, eclipsing players spanning several generations. Q: Do you enjoy playing “FischerRandom chess”? A: I have never played in Mainz, and have only played some blitz games. Of course, it is also interesting, but it is another game altogether. The difference is enormous. Maybe there will be a time when chess as we know it will be exhausted. When that happens, we’ll play “FischerRandom chess”, but for now I enjoy and prefer chess as it is. Q: Do you rely on the evaluations of chess engines? A: Of course, very often I disagree with the evaluations. There are some positions when the computer makes a definitive judgment, but deep analysis proves simply the opposite . A vivid example can be seen in Topalov-Kramnik game played in Corus 2008, when Topalov played the knight sac 12. Nxf7!, but the computer didn’t recommend that move. Only after a long analysis did the computers recognize that the position is not so straightforward indeed. Q: We are looking forward to the Anand-Topalov match. What prognosis do you have? A: Yes, we’ll surely see an interesting and tough battle. While my opinion is possibly not objective, I think Topalov has great chances to win the match. I think it is obvious whom I’m going to support. Q: Will you assist Topalov in that match? A: That is still a secret. Q: Is it easy for you to get into rhythm when starting a tournament? Are you nervous during the first game? A: Almost always I start tournaments without much stress. In the past, before the start I used to get a little overexcited, but now I am more patient and let the first game begin in due course, with some excitement, to be sure. Sometimes, at the end of the tournament, I get exhausted and look forward to returning home. Irina is the only participant who plays for our city team from the very beginning (2002). She became Russian champion under 20 at the age of only 13. Woman champion of Russia 2003, Irina celebrates her birthday on the opening day of the Baltic Queen tournament. - Irina, the opening day of the “Baltic Queen” tournament coincided with your birthday. How did you celebrate? - Mostly travelling. My husband and me planned several tournaments beforehand, and it happened that on this very day I had to go to St. Petersburg. So the greetings were by phone – from Moscow, Austria, my home city Arkhangelsk and other places. And here and St. Petersburg I was given compliments upon arrival, but I was late for the opening ceremony. - It’s a warm weather here these days. Isn’t it hot for you, born in a northern city? - Nope, not at all! I was in Greece, the temperature was 45°C. And we were playing chess. - You often visit St. Petersburg, and you play for our federation team. Are you bound with our city beside this? - I graduated from St.P. University of Economics and Finance, I’m an economist by specialty. I like the city very much, I can find my bearings quite easily. We were even thinking of moving to St. Petersburg, but at the moment it’s not possible because of housing problems. - How much is the “Baltic Queen” tournament important for you, what are your goals? - Of course, the tournament matters a lot. And though we play in one team with other girls, there’s also rivalry between us. I’ve played versus all the participants – but it’s been quite a long time since that. It’s interesting to find out, who is in good shape now. I’m very glad that the tournament is held now, when my son is with his grandparents, and we (my husband Maxim is also a grandmaster) can travel around and enjoy chess. - He turns 3 in October, he’s little. - Do you teach him to play chess? - No (laughs). He’s much more interested in cars now. - Does you mood for the game depend on a dress chosen, colors, adornments? - Of course it does. I want the clothing to be both convenient and nice. But it’s not always easy, and when you have to play for hours or even more, even small inconveniences can damage the quality of play. I don’t have any talisman clothes. Chess players often have “lucky pens” rather than anything else. By I’ve got so many, I had wins and losses with any of them, so I just use the one I first find in my bag. - Every player has his own manner: you like, it’s easy to notice, to walk around while your opponent is thinking, watching other games. - I need a fresh look. After I come back to my board I can see the position from another angle, and new solutions come. Looking how the other participants play during a round, I never think seriously about the positions, just keep an eye on what goes on, maybe something useful for my future preparation. And in general, I can say that only women are able to sit at a board for 4 hours keeping concentration all the time. Men would never do so! Almost after every move they get up, drink coffee, look around. Women can sit and concentrate on a game for hours. I don’t have such a habit, my eyesight used to be poor and I just couldn’t strain my eyes for a long time. I’ve undergone an operation and now I can see well, but I happy I didn’t get into the habit of sitting at a board all the time – it’s necessary for me to look aside! - What are your plans on your spare time in St. Petersburg? - I just want to walk down the city’s streets. I was here in summer several times, but only during exams at the University. Actually I haven’t seen the “summer” St. Petersburg. I hope to take walks, and also plan to go to Peterhof. More about the Baltic Queen Chess tournament at the official site. 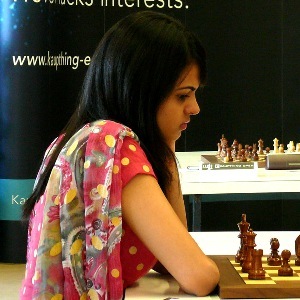 Tania Sachdev is a young International Master and Woman Grandmaster from India. She studied English Literature with Political Science and Psychology at the Delhi University and graduated in 2008. She was Asian U14, Junior and Senior Champion, and won the national Indian Women Championship in 2006 and 2007, also being a runner up in 2008. She is also holding bronze medal from the World U12 Championship. She also kindly agreed to answer more questions in an interview for Chessdom.com. Chessdom: This year you were very active in tournaments in Asia and Europe. How do you evaluate your results? Tania Sachdev: I have played five tournaments in Europe so far this year. Gibraltar was not so good for me but Pfalz, Montcada and San Sebastian were good. I gained some rating points in these tournaments. I have just been awarded the prestigious Arjuna Award which is a high honour and recognition given to a Sportsperson for consistence performance over the last three years. The Award is given by the President of India. Chessdom: You were Asia Chess Champion in 2008. What are your ambitions in the future? Tania Sachdev: Yes I did win the Asian women’s championship and this was a very precious title for me. I have one GM norm and would like to complete my title as soon as I can. I look forward for a medal for the Indian team at the chess Olympiad and that would be a dream come true. Chessdom: How do you see the current situation in the chess world? 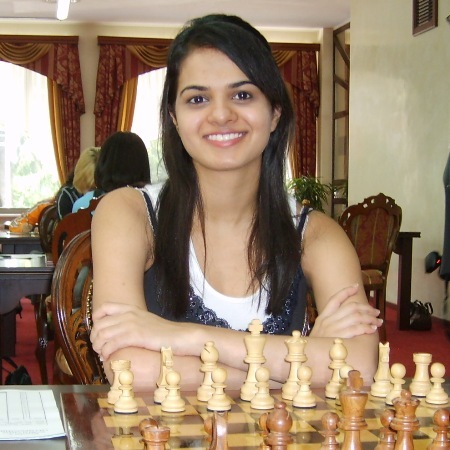 Tania Sachdev: Well lots is happening around the world in chess, good playing opportunities. Women’s chess seems to be gaining with more women’s closed events being organised. But i just hope that the format for the men world championship gets clarified as we get to see such high level chess in the cycle tournaments but there is always confusion and its forever changing! But besides that, I think chess is gaining a lot of popularity over the world. Chessdom: As one of the top female players, do you have enough opportunities to play in high rated competitions? Tania Sachdev: As a woman player I wish more closed women events were organised with a good prize fund. The tournament at San Sebastian, which was an all women closed event, was quite interesting with excellent arrangements. Well I do play in strong open events but there is not much opportunity to play in strong closed events. Chessdom: Are you familiar with activities of the FIDE Commission for Women’s Chess? What are the main challenges for female players? Do you have any suggestions on how to improve the position of women in chess? Tania Sachdev: Yes, I am aware of the FIDE commission for Women’s chess and the good suggestions put forward by Alexandra Kosteniuk in her May 7th 2009 letter. Allocation of a budget for organising specialised women tournaments in the form of closed and open events with proper coverage and good publicity. The prize fund of women tournaments at Zonal, Continental and World level should be increased. Even in open tournaments the 1st prize in women section is very small. It is for this reason that very few women players participate and take up chess seriously. Chessdom: Indian national teams are already very strong. When do you expect to challenge the world’s leading nations for Olympiad medals? Tania Sachdev: Yes, we have a strong Men’s team and a good Women’s team. I hope our teams can win a medal in the next Olympiad. Chessdom: What has got you attracted to chess and how would you best define your playing style? Tania Sachdev: Chess has always been very fascinating for me. I think when you play chess it opens up so many other facets of your personality which one is not aware of. Logical thought process while handling a position in chess and dealing with a complicated situation in real life is so comparable. The ability to accept and deal with good and bad situation on the board and in your day to day life. Above all the interaction with so many people from different countries and visiting beautiful cities all over the world. I just love it all. Well there was a time when I loved to play very aggressive and would be very bored in a positional setup. Now it seems to have reversed. I enjoy positional games and interesting endings. I think I am now more positional. Tania Sachdev: I am working currently with IM Vishal Sareen and with GM Ubilava sometimes. Well before a competition I work with my Indian trainer on seeing games and positions. With my GM trainer I work on specific openings and whatever I feel is my problem area. Tania Sachdev: There are many good games which one has played in the past but I always feel my most memorable one has still to come.